In Deepwood Redoubt you will find a number of Foresworn who are fairly easy to kill. However, later you will run into a bunch of witches, that is when you enter Deepwood Redoubt. There are only fairly easy puzzles along the way. You will end up killing a Hagraven but it will keep disappearing until you walk out of Hag’s End at which point you will be faced with two frost trolls. I just jumped off the high cliff using the shout “Become Ethereal” but it should be fairly easy to kill the trolls as long as they don’t back you into a corner. Just before you exit Hag’s End you will find the word of power “Time” of the shout “Slow Time”. I find that this shout is fairly useless because your actions are also slowed down. 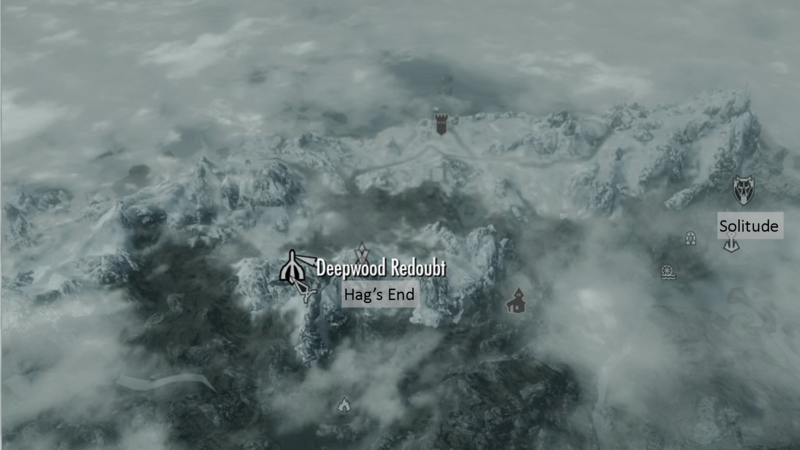 This entry was posted in Gaming and tagged deepwood, end, fast, guide, hag's, help, redoubt, skyrim, tips, tricks, walkthrough. Bookmark the permalink.